The chair designed to be appealing and to have a conventional style. Contour chairs are designed to have looping armrest and rounded corners. 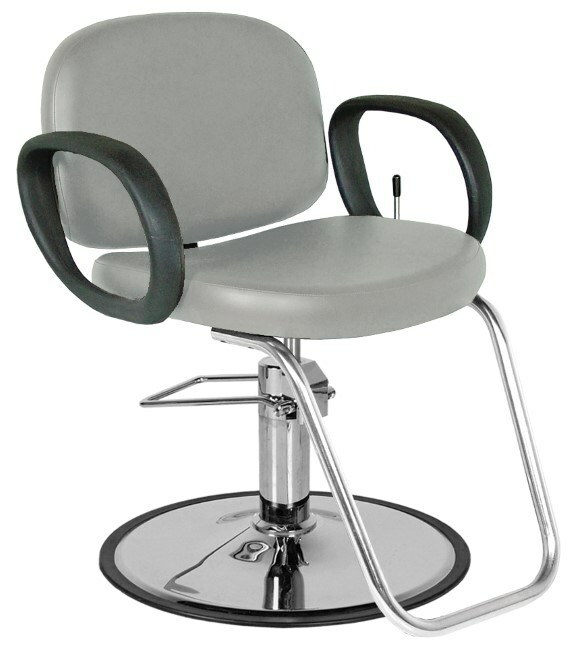 The Contour Hydraulic All-Purpose Chair. 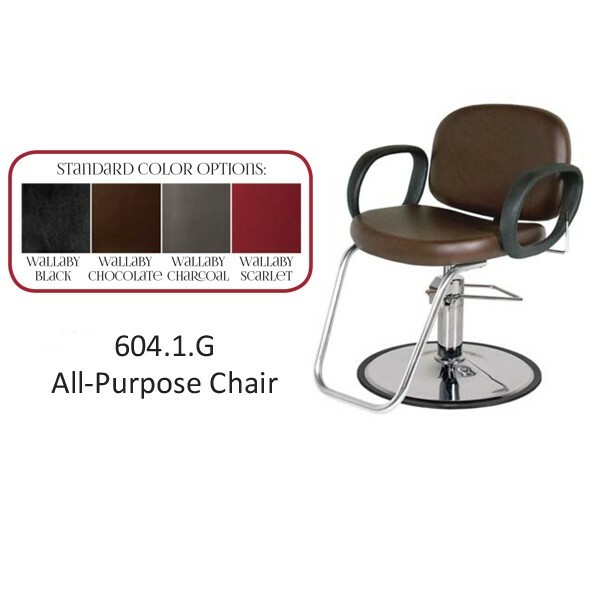 Features include tailored vinyl upholstery, durable molded urethane arms, tubular steel footrest, and chrome hydraulic base. Measures 21" between the arms; back cushion is 15" high. Ordered for QUICK DELIVERY in four standard colors Black, Charcoal, Chocolate, or Scarlet or can be special ordered in 85 colors.